Goat hair, designed at a flexible bristle length with a curved tip. This brush is smaller than the usual industry blending brushes allowing it to fit into the small area of the eye socket. This design ensures easier blending helping to create a softer look. A gorgeous eyeshadow look allowing for shading from dark to softly transparent with no blocks of colour or lines! Once the eye shadow is applied to your eyelid up to the socket line, place half of the brush tip on the product applied and half of it on the skin. Keep this position and sweep backwards and forwards like a windscreen wiper. Gradually move the brush upwards in the eye socket, if you want to take the blending higher. Always clean the brush vigorously on a tissue during this process to take off any excess eye shadow, and repeat every 3 full strokes. 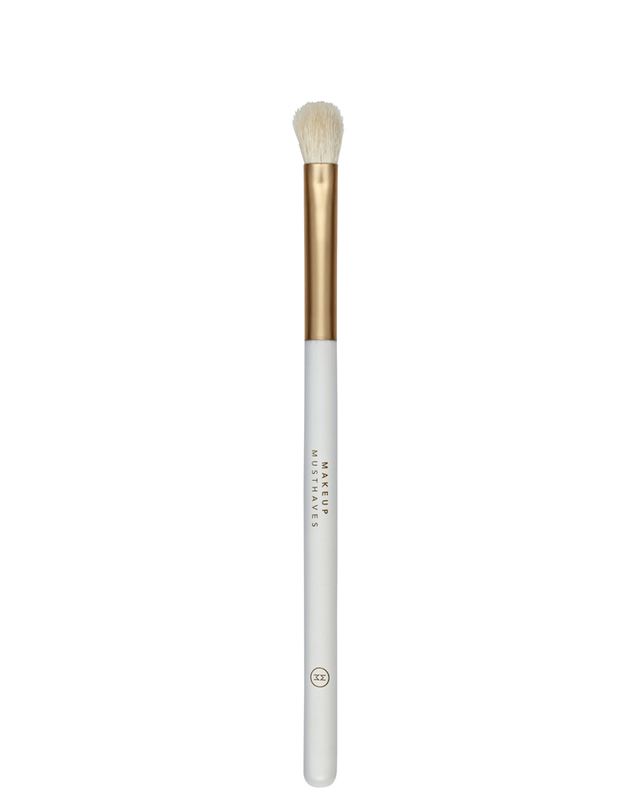 This brush can also be used to blend other delicate areas, near the tear duct, on the brow bone or under the eyes. You can even contour you nose by sliding down the edges with a bronzer.